THE Hume Football League kicked-off Saturday with all of last year’s top three teams defeated and the 2017 wooden spooners winning. In a big surprise, last year’s premiers Osborne had their colours lowered to the new-look Henty as the homeside unveiled its 2017 premiership flag at Osborne. After trailing at quarter time, Henty unleashed a brilliant second quarter kicking seven goals to two. Former AFL star Damian Cupido kicked five for Henty. Osborne hit back in the third to trail by just one point going into the final term, before the Swampies steadied to run out 15-point winners. Henty coach Joel Price kicked three goals and along with other recruits Tim Brook, Dylan and Dale Cox showed plenty of class. Best for Osborne was last year’s Azzi Medalist Jamie Parr, Billy Alexander, Jeremy Bahr and big man Duncan McMaster. HOLBROOK made an impressive start under new coach Matt Sharp, defeating old rivals Culcairn by 49 points in front of a large crowd at Holbrook. The Brookers started in sizzling fashion kicking eight first quarter goals, despite losing backman Isaac Lampe to a hamstring injury in the first minutes. Aaron Baker dominated the ruck and gave Curtis Steele, Sam Harris and Josh Jones plenty of ball. 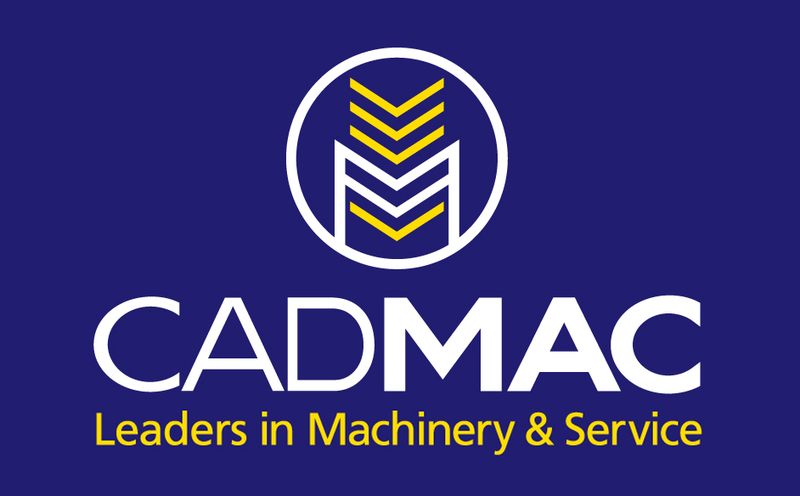 Andrew Mackinlay kicked four goals up forward. Coby Ross starred on a wing, while defenders Brock Knights, Nick Pugh and David Tassell held the Lions’ forwards, except Jon Robbins, who was dangerous with four goals. The Lions looked a little underdone but with several players still to come into the side they will be a dangerous opponent in next few weeks. BROCK Burrum Saints finished over the top of Jindera in a high standard clash at Brocklesby to run out 20-point winners. 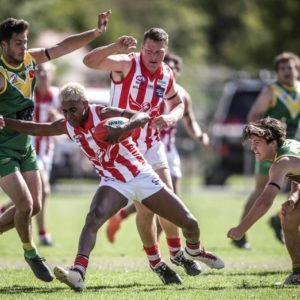 Jindera, who have done a massive pre-season, were in a great position at three-quarter-time leading by three goals and expected to have the legs to go on with the job. However ,Matt Seiter showed why he is the recruit of the season for Saints, inspiring the homeside to a commanding seven-goal-to-one quarter. The Saints found run and had winners all over the ground with Nico Sedgwick and Ron Boulton starring. Nick Brockley showed his class with five goals. Jindera missed ruckman Ben Dower after he did not have his clearance from Albury granted due to a contractual dispute. Ryan Speed was excellent in midfield for the Dogs, while Castles, Rhys Preston and Sam Crawshaw all contributed in good signs for the visitors. 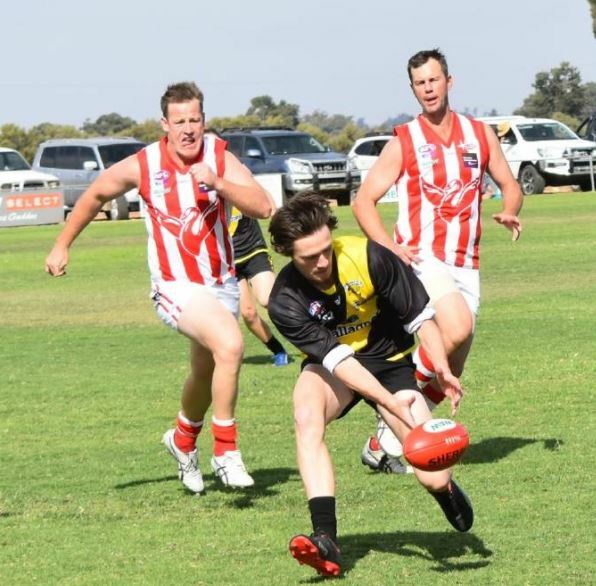 RAND Walbundrie Walla had a percentage boosting win over Lockhart at Lockhart, winning by 90 points with coach Myles Aalbers kicking eight goals. Lockhart, who had got some momentum back in the third term, fell away after Zachary Sheather was sent from the field after a heavy tackle. Todd Miller with four goals was a great ally for Aalbers and, with Nick Turner and Tim Madden missing, the Giants have plenty of forward potency. Former Lavington youngster and Murray Bushrangers squad member Kai Davies was outstanding for the Giants along with the clever Chris Duck. Ex-North Albury players, Jack Muldoon and Zac Gallaway, were good for the Demons who struggled up forward kicking just six goals. 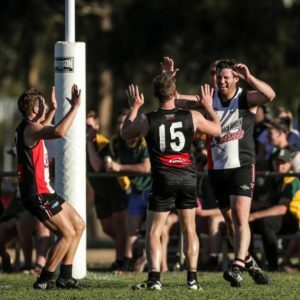 LAST year’s wooden spooners Billabong Crows had a convincing 37-point win over Murray Magpies at the Oaklands Sportsground. Darcy Collins, Riley Kerr, Nicholas Morris and Zac Kerr had to much leg speed for the Magpies, who kicked just two second half goals after leading at the half way mark. The Crows who won just one game last year, should have won by more wasting plenty of opportunity in front of goal. Best for the Magpies were utility Hayden Edwards, Tim Ruaro and the Maher brothers Daniel and Joshua. HOWLONG started its season in great style with a thrilling four-point win over CDHBU at Coreen after they kicked the final two goals of the match. Steve Jolliffe kicked the match winning goal for the Spiders with four minutes left after CDHBU’s Shannon Broadbent had been sent off midway through the term. Tim Cooper kicked five goals for the combine. The largest margin during the day was Howlong leading by twenty points early in the second term.